WELCOME TO ANNE SYMINGTON HOUSE A boarding experience is such a wonderful gift to any young woman and provides great opportunities for companionship and friendship, so adding a new dimension to school life. St Mary’s boarding house, Anne Symington House, is home to over 190 boarders from rural WA, overseas and interstate and offers a fun, vibrant and memorable experience for your daughter, allowing her to find her individual niche. The diversity of cultures, personalities, interests and backgrounds makes the boarding community at St Mary’s a truly dynamic one. Boarders are each assigned a mentor, who acts as a guide and friend as they begin their boarding journey, and these girls frequently become lifelong friends. The girls have access to our state-of-the-art facilities and the opportunity to participate in a vast array of different social and sporting activities. Music, sport, debating, drama, dance, leadership and social etiquette feature prominently in a boarder’s life at St Mary’s. The girls’ busy schedules encourage them to develop effective time management skills and a belief in their potential as global citizens of the future. Academic support and a well-structured social calendar are also provided within the boarding environment and a focus on the well-being of the whole student is embedded in all that we do through a variety of positive education initiatives. A boarding experience is such a wonderful gift to any young woman and provides great opportunities for companionship and friendship, so adding a new dimension to school life. The Big Sister: Little Sister programme ensures that each Year 7/8 student is assigned to an older girl who acts as a guide/friend and mentor to her and supports her as she begins her boarding journey with us. We actively encourage regular contact with families and our girls have their own email addresses and most would bring their own mobile phones to school. Boarders can also access SKYPE, and have internet access in their own rooms, to allow for easy communication with home. Small touches, such as the provision of a handmade birthday card from the boarding house, also help your daughter feel comfortable in her new ‘home away from home’. Comfort combined with state-of-the-art facilities Within the boarding house the girls are provided with bright, modern rooms featuring reverse cycle air conditioning and individual study areas equipped with internet and network connection. Younger girls share a bedroom whilst girls in Year 12 have their own rooms. Younger girls change rooms each term and this enables them to create a wide circle of friends within their year group. The Year 12 Boarding Leaders help to build across-year group friendships and the ‘wings’ of girls are a mix of girls from different year groups. This helps to create a greater sense of family and belonging within the house. The girls enjoy spacious common rooms and large recreation areas as well as the school facilities, such as the tennis and basketball courts, swimming pool, fitness room and wide open space of our 40 acre bushland campus. Boarders also have after-hours access to the library, IT centre, music centre and dance rooms. Parents are always welcome to visit and join the girls for evening meals and we encourage them to stay overnight in our fabulous parent flat. There are also several boarding functions throughout the year for parents to attend, to allow friendships to develop within our boarding parent community. Mid-term breaks and frequent leave weekends ensure that the girls maintain regular contact with family and friends from home whilst a boarder at St Mary’s. Dining Our Head Chef provides a healthy, balanced diet which includes a vegetarian choice every evening. Our menus are constantly changing and evolving to meet the needs of adolescent young women, and the girls can submit their own recipes through the ‘Recipes of the Month’ programme where a special family favourite dish is cooked for the whole house. Medical Centre The Medical Centre is located inside the boarding house, with day nurses on duty from 8.00am – 6.00pm, Monday to Friday, and on call on weekends, and a night nurse on duty each night from 10.00pm – 6.00am to support our boarders overnight. The Medical Centre also co-ordinates physiotherapy, massage and beautician treatments for our boarders. What do our current students have to say? Girls are encouraged to participate in a vast array of schoolbased and boarding house, sport and extra-curricular activities. A detailed recreational programme is published each term and includes visits to the beach, Saturday sport, socials, ice-skating, movies and the theatre, and much much more. The boarding house at St Mary’s supports transport to and from a variety of different sporting clubs and teams for the girls, to ensure that they remain fit and healthy, as well as connected to sporting clubs within Perth. Within the boarding house, girls are kept entertained with a range of amenities including a Wii, Playstation, board games, a pool table, a book exchange programme, and a range of fitness equipment. Our boarders enjoy easy access to nearby Karrinyup Shopping Centre and Trigg Beach, and can always relax in the school’s spacious and quiet grounds. The older girls can also travel on the train to shops in Joondalup, Claremont, Cottesloe, Subiaco and the city. Academic support Prep time is intended to provide the opportunity for homework to be done, additional background reading, revision and study for tests and exams. Tutors are available throughout prep time and can also be booked for private tuition. A Boarding Academic Support teacher is also available for study skills and to support the girls, and a study planner is provided to the girls to aid their study time. The best way to experience all that boarding at St Mary’s has to offer is to visit us and gain an idea of what boarding at St Mary’s might be like for your daughter. For further information, to enrol or arrange a tour please contact the Registrar on (08) 9341 9111. We look forward to meeting you and your daughter here at St Mary’s very soon. 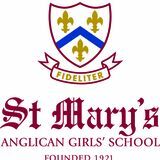 Please visit www.stmarys.wa.edu.au for more information about the wonderful opportunities available for boarders at St Mary’s.